A great answer to noisy routers and switches with a noise reduction of up to 15dB(A). 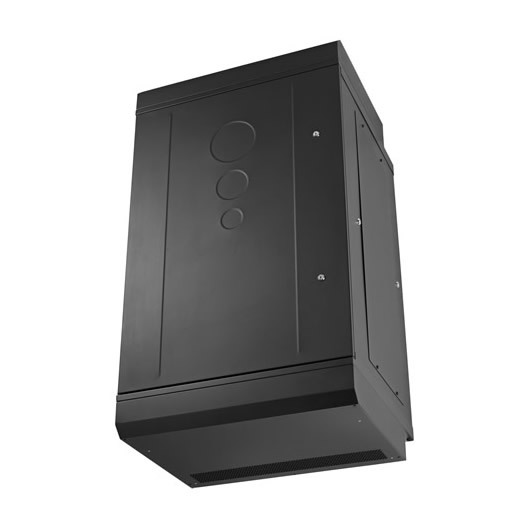 The UCoustic 7250 Acoustic Wall Box has optional top and bottom baffling chambers, and incorporates standard 19" rack mounting profiles. 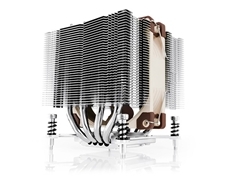 It also has a thermal capacity up to 1.5kW employing 3 fans for heat exhaustion. This range includes top and bottom baffling chambers. 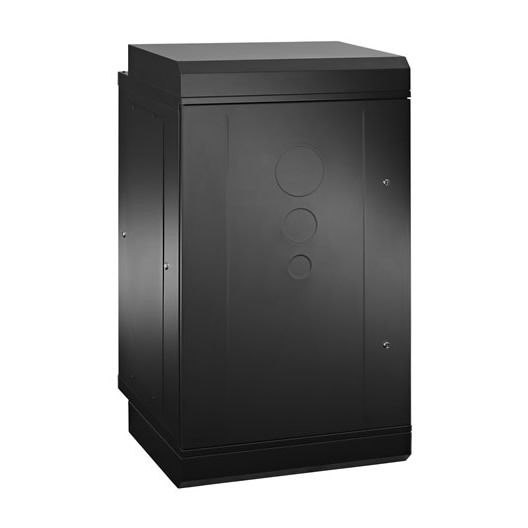 UCoustic 7250 Soundproof Rackmount Wall Box. 40.28 x 27.56 x 23.62"
48.15 x 27.56 x 23.62"
Max. 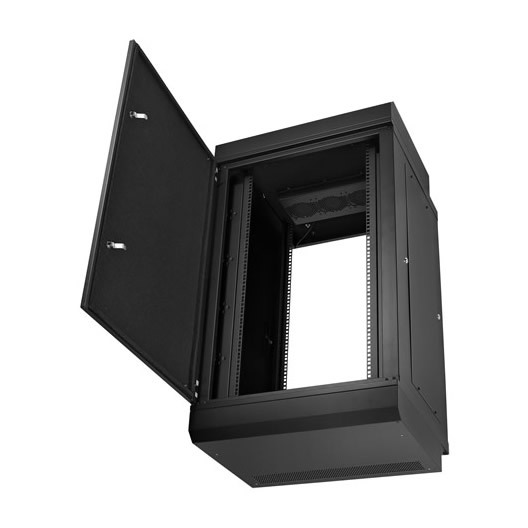 Distance between front & rear mounting profiles *380mm - 14.96"
Cable Entry Sealed foam entry points allow cables to access the enclosure through the floor and top of the rack whilst minimising noise leakage. *This dimension allows a minimum 43.2mm gap between the front blanking plate/equipment surface and the inner front door surface. 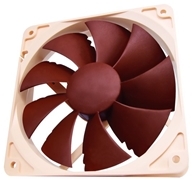 This is recommended to allow for sufficient air-intake and, therefore, maximum cooling efficiency. 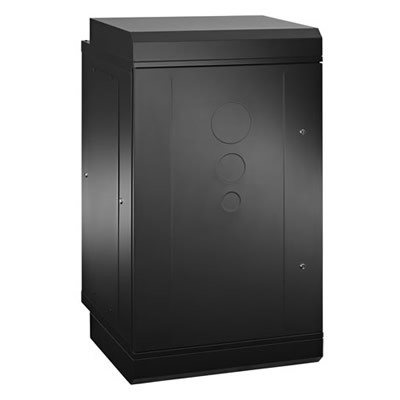 For more information on Quiet Racks please view the following videos on www.quiet-rack.com. 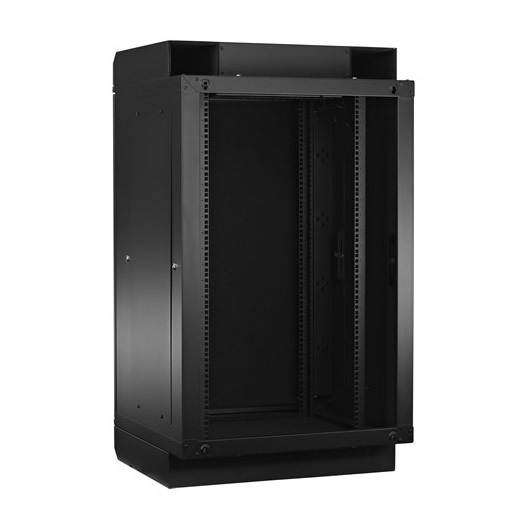 Quiet Racks and their Benefits. IT Noise, Thermals and How to Deploy a Quiet Rack.